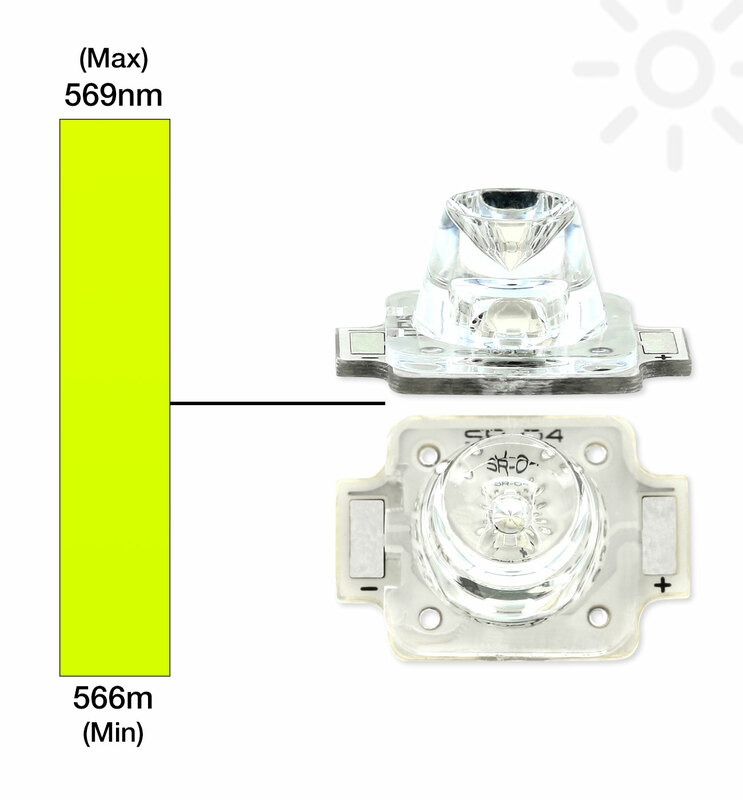 The SR-04-L1 Rebel Rectangular LED assembly features a single LXML-PX02-0000 Lime LUXEON Rebel ES LED soldered to our 11.1 x 15.9 Rectangular CoolBase. The FR4 CoolBase offers a high efficiency thermal design that matches or outperforms* standard aluminium MCPCB bases. The F360L-3C-S optic is fastened to the FR4 CoolBase with Loctite 460 cyanoacrylate instant adhesive which has been specially designed for use with high performance optics. The SR-04-L1 can be ordered in any quantity with quantity discounts available.